IK alumna Donata Romizi, currently a senior lecturer in Philosophy at the University of Vienna, will be awarded the 2019 Karl Alber Prize for her PhD thesis "Studien zum wissenschaftlichen Determinismus vor der Entstehung der Quantenmechanik" (supervised by DK Faculty members Friedrich Stadler and Elisabeth Nemeth). Congratulations! The doctoral students of the DK are organising an academic workshop to mark the upcoming end of the program. The website for the event is now online and any relevant information, including on registration, will be made available there. Deborah Coen, an eminent historian of science from Yale University, will be joining the DK as a Visiting Fellow in June/July 2018. She will launch her book Habsburg History for the Anthropocene: Stifter, Science, and the Problem of Scale on 26 June. Austrian daily newspaper Der Standard has published an article on the Austrian School that draws on recent work by our DK fellow Alexander Linsbichler. Click here to read the article (in German). Logical Empiricism and the Austrian School of Economics are two of the internationally most influential intellectual movements with Viennese roots. Both have been subject to detailed investigations and reevaluations for the last two decades. But despite their formation in the same cultural milieu of philosophical, scientific, and artistic “coffeehouse circles” in interwar Red Vienna, their relationship has captured surprisingly sparse attention. (I) In the early socialist calculation debates, Neurath and Mises agreed inter alia that without private ownership of the means of production, there can be no meaningful money prices for them. While Mises concluded that “socialism is the abolition of rational economy” (Mises 1920) and cautioned against ensuing mass poverty, Neurath maintained that calculation-in-kind could remedy the problem. Previous accounts of the exchange between Neurath and Mises tend to suffer from attaching little regard to the different meanings they attach to the question What is meant by rational economic theory (Neurath 1935). In my research project, a reconstruction and critical comparison of their respective conceptions of rationality aims to provide a better understanding of the arguments in the early socialist calculation debates and of later developments such as: economists denying Neurath’s and Mises’ consensus that meaningful money prices cannot be arrived at without private ownership of the means of production; Hayek elaborating Mises’ arguments about dispersed knowledge; ecological economists pursuing Neurath’s ideas in the face of alleged incommensurability of values. While “full socialization” is not a viable option today, contemporary policies like nudging and CO2 certificates repose on specific contentious positions in the debates launched by Neurath and Mises. (II) In the political sphere, tensions between Neurath’s “democratic socialism” and Mises’ “liberalism in the classic tradition” are obvious. In the context of interwar Europe, they should nevertheless be regarded partial allies. As proponents of “Viennese Late Enlightenment” (Stadler), both Neurath and Mises bucked totalitarian trends and championed democracy based on ethical non-cognitivism. Their deliberations concerning education for the masses or solutions for societal problems brought about by language barriers have by no means lost their significance. Bourdieu’s “Peculiar history of scientific Reason” – sociological Forum, 1991 – will be the beginning point. How History is to be understood here? And, therefore, what does “Historicity of the sciences” mean? Philosophers, Historians and Sociologists have approached it in many ways, and, especially in France, with strong disciplinary mutual blindness since the mid 20th century. But today, with the global circulation of works and research fashions their concepts and know how are widely merged, carrying a tremendous amount of ambiguities, one can measure it following keywords like “historical epistemology”, “intellectual history” or “collective memory”. The point here, will be to consider that the Historicity of the sciences may be a common object of inquiry as far as one recalls the initial questioning held by the Philosopher Gaston Bachelard in the mid 1930’s, scrutinizes Maurice Halbwachs’ strong social theory of memory shaped in the 1940’s, and the more recent proposals of the Historian, Jean-Claude Perrot, for a renewal of intellectual history. Together, these three approaches are offering a consistent methodological base to be shared by protagonists of the disciplines concerned today. Eric Brian is Directeur d’études (full Professor) at the École des Hautes Études en Sciences Sociales in Paris. Der Vortrag soll einen Überblick geben über die Argumente der bisherigen Debatte über scientific communities: beginnend mit Robert Mertons und Warren O. Hagstroms Theorie der scientific community, wird der Vortrag sich mit der Kritik und den Alternativvorschlägen jener Theorien beschäftigen, die Mertons Konzept heute in der Diskussion weitestgehend ersetzt haben (Collins, Latour, Woolgar, Knorr-Cetina). Ebenso sollen auch Konzepte der scientific community analysiert werden, die unabhängig von Merton und seiner Schule entwickelt wurden (Fleck, Kuhn, Polanyi, et al. ), sowie zwei einflussreiche theoretische Alternativen (Foucault, Bourdieu). Drei Fragen werden dabei im Mittelpunkt stehen: (1) welche sozialen Mechanismen werden für die Kooperation wissenschaftlicher Akteure verantwortlich gemacht, (2) stützen oder schwächen die unterschiedlichen Konzepte einer scientific community den Anspruch der Wissenschaft auf Anerkennung einer spezifischen wissenschaftlichen Autorität, und (3) bestehen scientific communities notwendigerweise nur aus Wissenschaftlern oder muss auch die Rolle von Nicht-Wissenschaftlern innerhalb wissenschaftlicher Kooperationen berücksichtigt werden? Markus Arnold ist außerordentlicher Professor für Philosophie an der Alpen-Adria-Universität Klagenfurt | Wien | Graz. "Die „deutsche Wissenschaft zu retten“ notierte Otto Hahn 1945 noch in britischer Internierung als dringendsten Wunsch. Mit der Überführung der Kaiser-Wilhelm- in die Max-Planck-Gesellschaft (MPG) 1948 und ihrer materiellen Grundsicherung durch Bund und Länder war dies fürs Erste gelungen. Jetzt galt es, die Wissenschaft und vor allem die MPG innerhalb des westdeutschen Teilstaates zu konsolidieren und sie darüber hinaus wieder in die Foren der internationalen wissenschaftlichen Kommunikation zu integrieren. Es werden Zwischenergebnisse eines Projektes zur Diskussion gestellt, das diverse und kontroverse Praktiken wissenschaftlicher "Internationalität" innerhalb der MPG im Kontext des Kalten Krieges untersucht." Carola Sachse ist Universitätsprofessorin i. R. am Institut für Zeitgeschichte der Universität Wien und Mitglied der Faculty des Doktoratskollegs. Philosophers of science wishing to pay serious attention to scientific practice have suffered from a lack of suitable frameworks of analysis. Mainstream analytical traditions of epistemology are dominated by the propositional conception of knowledge, which only deals with knowledge expressed in explicit statements and turns a blind eye to the activities through which we generate, improve and use knowledge. Other frameworks such as Kuhnian paradigms have been criticized as too vague and ill-defined to be useful. In this paper I argue that a suitably revitalized pragmatist philosophy can fill this gap. I build especially on Dewey’s views on inquiry and method in order to understand scientific practices as activities, and to understand knowledge as ability. Knowledge as the possession of information (propositional knowledge) will be seen as subordinate to knowledge as the ability to do things in life (“active knowledge”). In this way, pragmatism can provide a firm philosophical grounding to the notions of “epistemic activity” and “system of practice” that I have used in my previous works. Such an application of pragmatism will also thrown new light on the debate concerning scientific realism, providing operable meanings to the very notions of truth and reality. Hasok Chang is Professor of History and Philosophy of Science at the University of Cambridge (UK). Anna Lindemann is an alumna of the DK program. 1. Lazarus and Steinthal wavered between a "strong" and "weak" programme of VP. Ingredients of the strong programme included: Epistemic, moral and methodological relativism; causal explanation of beliefs bases on causal laws; a focus on groups, interests, tradition, culture, and materiality; determinism; a self-referential model of institutions. 2. Elements constituting the weak programme were inter alia: the blurring of explanatory and normative interests; an emphasis on freedom of the will; anti-relativism; anti-materialism; opposition to Comte and Buckle, no reception of Spencer. 3. Later research projects keeping the label "Völkerpsychologie" followed the weak programme. 4. In the 1880s and '90s, Simmel called for a return to the strong programme. Intellectually, Simmel was ideally placed to push for such radical enterprise. 5. The intellectual-social-political situation of German academia around 1900 explains why Simmel soon distanced himself from both VP and sociology. Martin Kusch is Professor of Philosophy of Science and Epistemology at the University of Vienna and a member of the DK faculty. Daniel Kuby and Birgit Nemec will join current DK fellows and faculty for a discussion on their academic careers during and after their time with the program. Daniel Kuby is a lecturer at the Department of Philosophy, University of Konstanz (D). Birgit Nemec is a researcher at the Department for History and Ethics of Medicine, University of Heidelberg (D). In this talk, I will discuss shifting temporal concepts in the public debates about science and technology in the 1960s and the 1970s with a special focus on the life sciences. I will argue that the controversies about scientific developments in life sciences, especially research on genetic engineering, cloning and reproduction, contributed not only to major changes in the public view of the social consequences of science and technologies more generally in this period, but, moreover, to fundamentally changing social concepts of historical time and temporalities. In the 1970s, ideas of “progress”, but also the way of how the “future” of technologically driven societies was perceived, changed drastically. The public debates will be analyzed in the context of other developments that deeply affected the public view of technological outcomes at that time, such as ‘futurology’ or the increasing awareness of an environmental crisis since the early 1970s. It was a period of transition in which a futuristic discourse on techno-scientific optimism and technological utopia (that had been typical for the 1950s and 1960s) turned into a discourse of risks, crisis and the needs of prevention, leading to ideas of an ‘anticipation’ of future scientific developments as a main political task for present societies. As a result, the boundaries of temporal concepts such as the present and the future became blurred and a view of the future took shape in which the future was not conceptualized any more as an open, unpredictable or distant horizon but simply as an extension of the present. 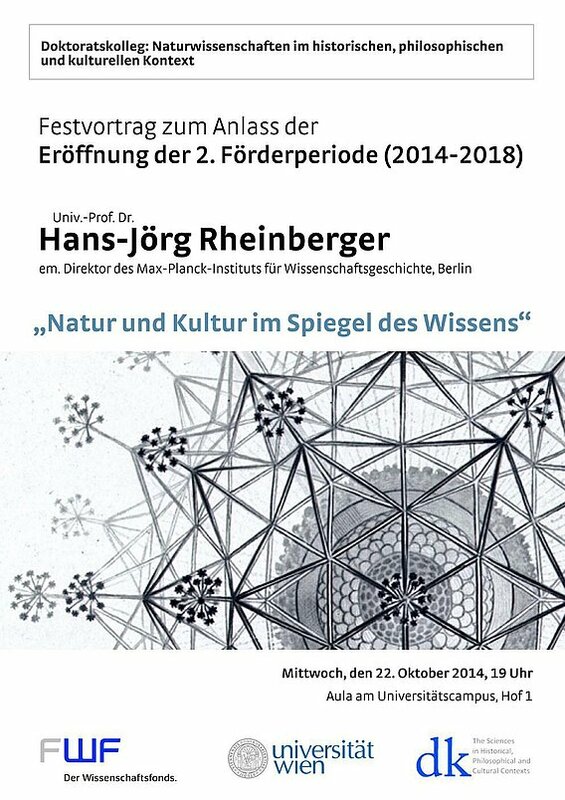 Christina Brandt is Professor of History of Life Sciences and Philosophical Anthropology at the Institute for Philosophy I & Centre for Anthropological Knowledge in Scientific and Technological Cultures (CAST), Ruhr-Universität Bochum (DE). The research of the Leipzig savant Gustav Theodor Fechner (1801–1887) spanned the gamut from electricity and magnetism through various theories of measurement to the souls of plants and was a direct forerunner to a number of the twentieth century's most prominent sciences of mind, including laboratory psychology, psychoanalysis, and logical empiricism. This presentation situates Fechner at the head of a of loose movement in the nineteenth-century sciences of mind and body that employed conceptual tools to interrogate their interaction. For Fechner, the key concept was "the threshold," which allowed him to at once deepen his experimental research in perception and connect it to his panpsychic philosophy. The concept was further embedded in his daily practice of walking, which served alternately mental and physical ends and thus crossed the mind-body threshold itself. Joshua Bauchner is a PhD candidate at Princeton University (USA) and a visiting fellow of the DK program "The Sciences in Historical, Philosophical and Cultural Contexts" at the University of Vienna. Does small RNA biology provide an empirical case for scientifc pluralism? Over the last decades, scientific pluralism has become a prominent term in the philosophy of science. Very shortly and broadly, scientific pluralism can be taken as the claim that to approach certain scientific phenomena, more than one theory, explanation or method might be required. While literature on the many instances of scientific pluralism within the sciences is accumulating, it has yet not been assessed in what ways those meta-scientific claims are resonant with the practices and ideologies of researchers in their respective fields of study. One way to address this problem is to conduct sociological studies in a field that has been attested to be pluralist. One eligible research area is small RNA biology, which studies – amongst other things – the inheritance of small RNAs which is independent from DNA. Thus, if small RNAs are in fact alternative (epigenetic) trajectories of heritable information then explanatory scientific pluralism of inheritance would be true – at least from the metascientific perspective. In this talk, preliminary data accumulated from a laboratory study in Tel Aviv will be discussed to ask, how much scientific pluralism is really permitted by the field and what implications might be drawn from that for philosophical conceptualizations. Sophie Juliane Veigl is a fellow of the DK program "The Sciences in Historical, Philosophical and Cultural Contexts" at the University of Vienna. 3) when they do not explain, they still might be contributing to the discovery of a mechanism. Hernán Bobadilla Rodríguez is a fellow of the DK program "The Sciences in Historical, Philosophical and Cultural Contexts" at the University of Vienna. How can we conceive of the so called ‘newly emerging sciences and technologies’ (NESTs) in science and technology studies? What is to be understood under labels such as ‘systems biology’ or ‘synthetic biology’? What do they stand for and what are the potential scientific and societal implications of these phenomena? The introduction of systems or synthetic biology within the scientific literature comes with a surprisingly stable narrative: they are new, they have been enabled by technological innovation, they come with a paradigm shift and they have revolutionary potential. Case studies comparing the emergence of synthetic biology in UK and France already point at the institutional aspects that factor in such change (Molyneux-Hodginson and Meyer 2009, 2016). Nyhart (1995) and other historical studies of change and stability in biology (e.g. Strasser 2002) have also highlighted this point. The presented case study aims at illustrating the ways a local institutional landscape shapes how a new field such as systems biology is established, as what it is established and how it is perceived and impersonated by scientists. To do so, I will focus on four aspects: the impact of generational patterns, the impact of (sub)disciplinary fragmentation, the impact of institutional logics and the impact of the broader national innovation regime, all of which adhere to specific locales at specific historical times. As a result, I not only draw a picture of the context dependency of a technoscience’s emergence, but also of the relative narrowness of the scope of an announced revolution – the one often related to systems biology and synthetic biology in the media discourse – and the relative radicalness of the rather tacit change its context of emergence faced in the meantime. Karen Kastenhofer is a scholar in Science and Technology Studies (STS) at the Institute of Technology Assessment, Austrian Academy of Sciences. The presentation will show that in order to understand how Austria’s anti-nuclear position could become a core element of the nation’s technopolitical identity, we need not only to study the events around the 1978 referendum on nuclear energy (Zwentendorf). Rather we have to carefully trace the different kinds of work needed after the referendum to transform the fragile outcome of the vote into a robust and stable sociotechnical imaginary of anti-nuclearity. Ulrike Felt is Professor of Science and Technology Studies at the University of Vienna. This paper traces a substantial visual, epistemic and disciplinary change in cell biology during the 1970s, a field strongly associated with evidence from microscopic imaging. This change was initiated by the adoption of immunofluorescence microscopy from diagnostic research on infectious diseases. The use of fluorescent dyes in combination with artificially produced antibodies made it possible to stain proteins of interest specifically, thereby allowing for a visualisation of the molecular architecture of cell components. In comparison with electron microscopy, the dominant imaging method of the 1950s and 1960s in cell biology, the epistemic qualities of this new technique allowed researchers to acquire different and novel kinds of knowledge. Cell biologists defined what had thus far remained a hypothetical cellular entity using immunofluorescence microscopy: the cytoskeleton as a network of fibres that was responsible for cell shape and motility. The application and establishment of this imaging method re-defined the cytoskeleton as a complex evidence-based entity of significance equal to that of canonised structures such as the cell nucleus. Based on interviews and sources from professional institutions in the USA, such as the Journal of Cell Biology and the American Society for Cell Biology, I will trace the development of a new sub-discipline: cytoskeleton research. I aim to understand and reconstruct how this new field was established until the early 1980s and how visual evidence from a recently adopted imaging method was used to re-shape the field of cell biology. Hanna Lucia Worliczek is a fellow of the DK program "The Sciences in Historical, Philosophical and Cultural Contexts" at the University of Vienna. During WWII members of the Psychological Laboratory in Cambridge carried out a series of intriguing experiments on pilot fatigue. I shall describe these experiments and the theoretical analysis given to their results. I shall also ask whether comparable experiments were conducted by German psychologists. This attempt at comparison can be carried out successfully but it encounters a number of interesting problems and raises some significant methodological questions for the sociologist and historian of science. I shall offer some tentative answers to these questions. David Bloor is Emeritus Professor at the University of Edinburgh Science Studies Unit, Scotland. Born following in vitro fertilization in Britain in 1978, Louise Brown made global news as the first ‘test-tube baby’, the work of a team led by the gynaecologist Patrick Steptoe and the physiologist Robert Edwards that was eventually recognized by a Nobel Prize. Yet she was far from the first to be announced. Since the 1940s various researchers had reported having fertilized human eggs to produce embryos and even infants. Journalists warned large audiences to anticipate all manner of brave new worlds. This talk will take that publicity seriously, while focusing on how scientists pressed these claims and how their colleagues assessed and contested them. It will pay special attention to the negotiation of standard criteria in journals, handbooks and newspapers, at conferences and on television. This will offer fresh perspectives on the founding achievement of reproductive biomedicine and on communication in science after World War II. Nick Hopwood is Professor of History of Science and Medicine at the University of Cambridge (UK). On 15 Dec 2015 the two biggest experiments at CERN’s Large Hadron Collider independently announced results, illustrated by a ‘bump’ around 750 GeV of small significance, which indicated the possibility of ‘new physics’. The announcement was followed by a flurry of activity. Within only two days, theoretical physicists had uploaded several dozen papers on the resonance at 750 GeV while major newspapers and physicists’ blogs spread the news across wider communities and publics. Behind the scenes, experimental physicists in the ATLAS and CMS collaborations gathered additional data and continued their analysis under heightened attention. Those watching the LHC were concerned with the evolving status of the 750 GeV resonance with additional data: would the observed excess become a ‘discovery’ of new physics or would it disappear, rendering the initial result a statistical fluctuation? The status of the observed 750 GeV resonance assumed special importance in view of the belief and hope of physicists that the LHC would discover novel phenomena. Half a year later, in August 2016, this belief was tempered when both experiments declared that the bump was a statistical fluke. This recent episode of a non-discovery provides an interesting and multifaceted study case for STS and HPS scholarship. In this paper, we will explore the management of credibility as it is exposed and performed within the lively public debate involving different actor groups and media (e.g. preprints, blog posts, talks, newspaper articles). With a focus on the tri-relation between media, theory and experiment, this paper will investigate also how credibility is attributed to distinct actor groups differentially. In addressing these issues, we will pay attention to how this episode of a non-discovery brings to the fore the implicit and explicit norms and standards underlying experimental and theoretical practice. Martina Merz is Professor of Science Studies at the Department of Science Communication and Higher Education Research, Alpen-Adria-Universität Klagenfurt | Wien | Graz. Sophie Ritson is a post-doctoral researcher in the project "Producing Novelty and Securing Credibility: LHC Experiments in STS-Perspective", funded by the Austrian Science Fund (FWF).